Genius! 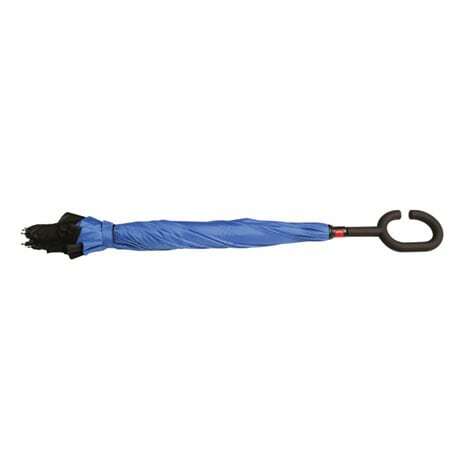 Open, it works like any umbrella. But when you close it, the wet side folds IN, keeping the dry side out. No more wet spots on your clothes (or someone else's) if you ride a crowded bus or subway. 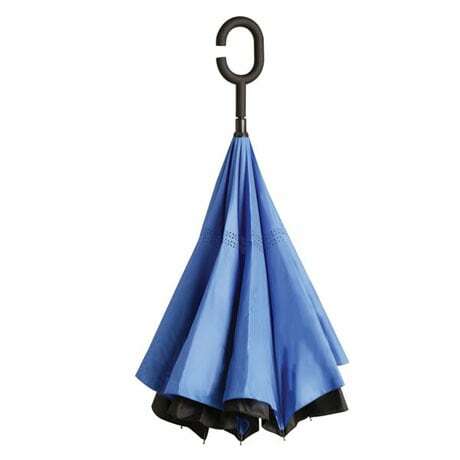 Umbrella also stands on its own to dry. Double-layer fabric is black outside, blue inside. Rubber C-type handle, fiberglass ribs and shaft. Manual open. 44" span, big enough for two.